ENGIE has announced that it has launched the ENGIE brand for its North American operations, replacing the GDF SUEZ name. The company claims that this reflects a new strategic direction and regional organisation. In North America, the company has combined its renewable and natural gas fired generation, LNG, retail energy supply, and energy services businesses together. This, the company claims, will improve collaboration between the various supply and service activities that it offers. Frank Demaille – the previous Executive Vice President of ENGIE’s international division of the Energy Services Branch – has been appointed CEO of ENGIE North America Inc. Suthiwong Kongsiri – the previous CFO of ENGIE’s electric utility business in Thailand – has been appointed CFO. In addition to this, André Canguçu and Scott Flippen have been named Head of Business Development and Head of Acquisitions, Investments, and Financial Advisory, and Analysis, respectively. Demaille said: “By uniting our capabilities, we want to work with customers to best suit the way they want to generate and consume energy. We can do this work through development of large or small scale renewable, natural gas, LNG, or retail energy supply options, through reduced consumption via digital or other means, or a combination. As part of its transformation plan, ENGIE has announced a number of changes to its Executive Committee Members. ENGIE has announced that Isabelle Kocher, who was appointed Deputy CEO and COO in November 2014, will become CEO. ENGIE has released a statement claiming that it has introduced a new organisational strategy as part of its enterprise project, which was announced in 2015. 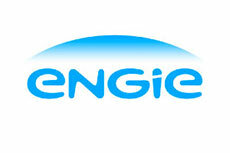 ENGIE has entered into an LNG partnership agreement with Kansai Electric.